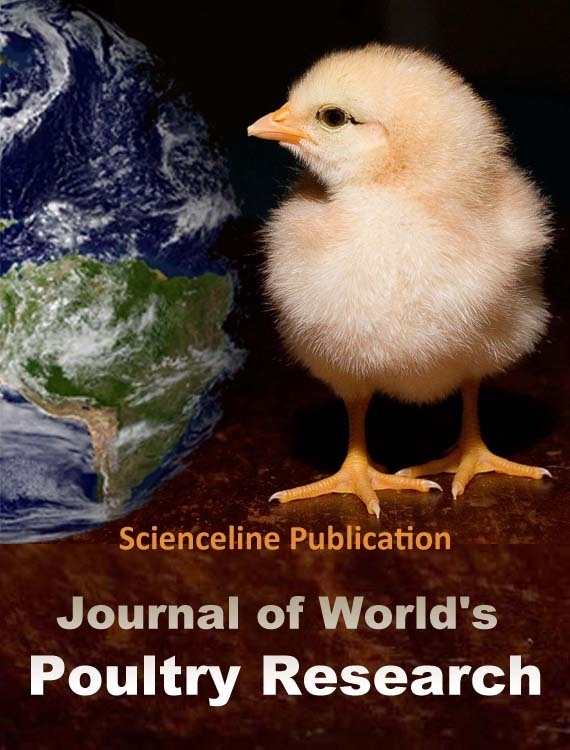 The Journal of World's Poultry Research (2322-455X) is an international, English language, peer reviewed open access journal aims to publish the high quality material from poultry scientists' works to improve domesticated birds production, food quality and safety. All accepted articles are published Quarterly in full text on the Internet. JWPR publishes the results of original scientific researches, reviews, case reports and short communications, in all fields of poultry science. Considered subject areas include: Husbandry and management; Construction; Environment and welfare; Exotic and wild birds; Biochemistry and cellular biology; Immunology; Avian disease control; Layer and quail management; Nutrition and feeding;Physiology; Genetics; Reproduction and hatching; Technology; Processing and food safety and relative topics in early findings and case studies on fundamental and applied aspects of poultry science.